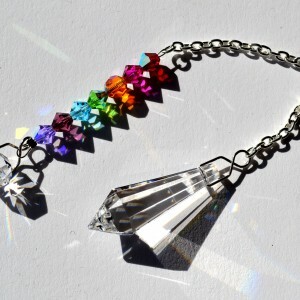 Absolutely stunning Crystal pendulum with Swarovski elements, it is a really good quality item. 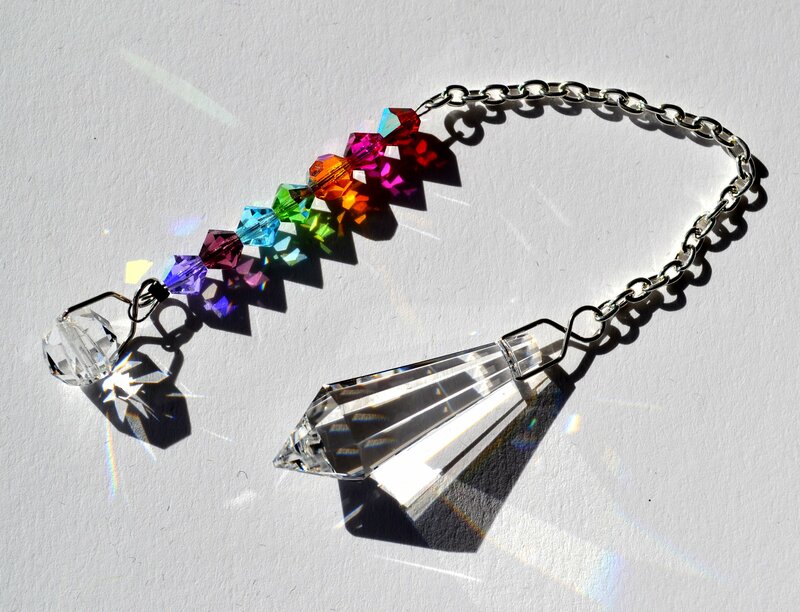 38 mm Clear Crystal Point, Coloured Chakra crystal beads on Silver Plated Chain. Included is a velveteen Pouch. 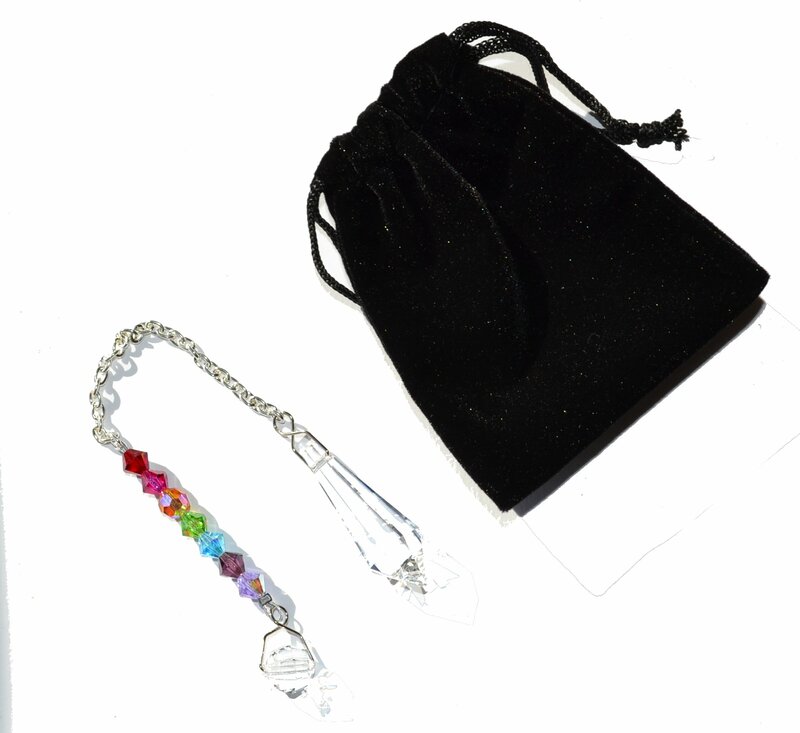 FREE P+P on this item.